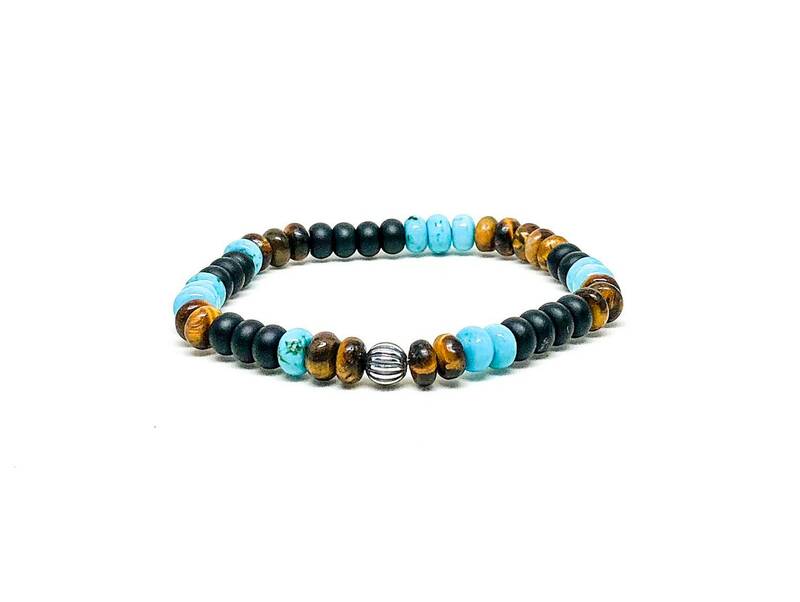 Men's bracelet with Onyx, Turquoise, Tiger Eye and Sterling Silver. 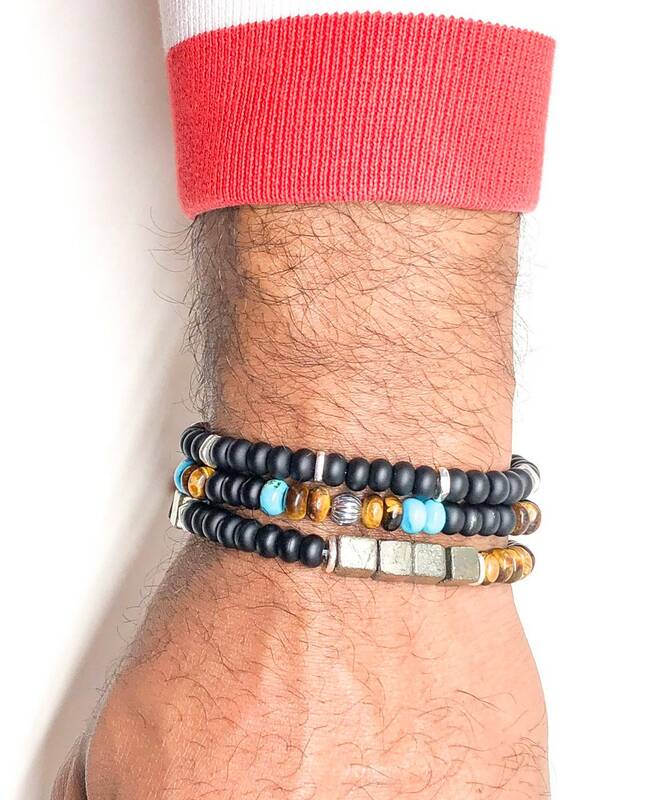 Men’s beaded bracelet made with Onyx 6x4mm, turquoise 6x4mm, tiger eye 6x4mm and sterling silver 6mm. 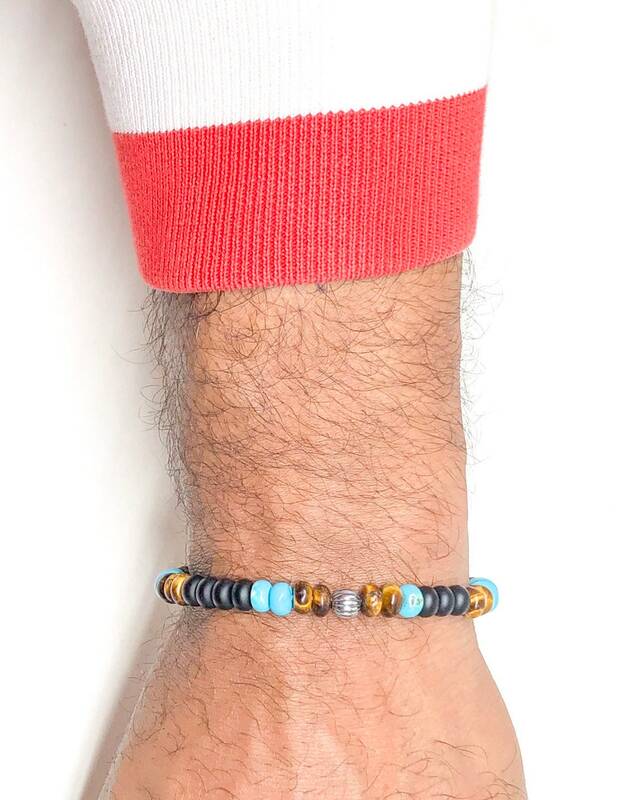 If you just want to spice it up a little this bracelet is perfect. Turquoise stones are one of the most ancient of gemstones. Turquoise has been used in jewelry, other adornments, statues, amulets and trinkets since before 5000 BC. 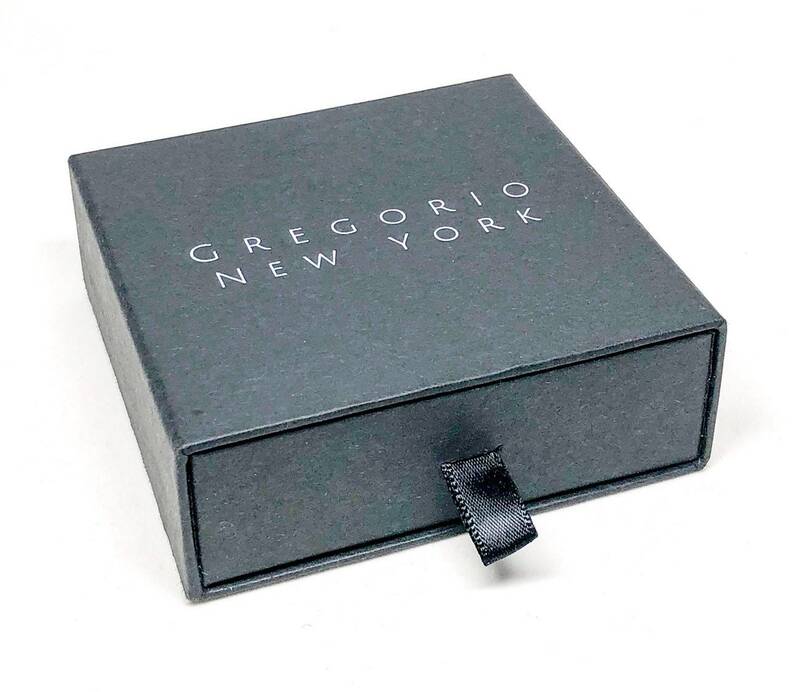 This blue-green mineral rock has been used consistently through time in a manner in keeping with turquoise meaning. 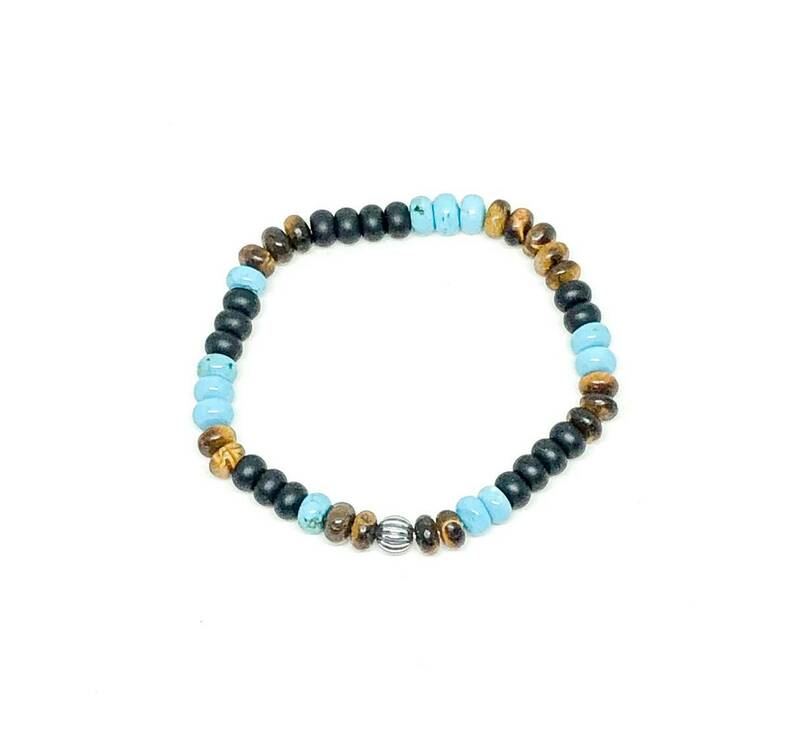 Signifying balance, wisdom and truth, turquoise gemstones combine beauty with usefulness in turquoise meditation, turquoise chakra and turquoise healing benefits for mind and body.